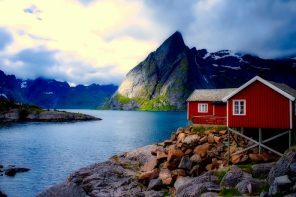 Norway is known for its mountains and fjords, but it also offers another big attraction for sightseers – a series of awe-inspiring glaciers. The Norwegian mainland is home to around 1600 glaciers, many of which can be easily accessed from the country’s major cities. With their frozen crevasses and ice caves, these landmarks make for spectacular day trip destinations. But if you’re thinking of visiting one of Norway’s glaciers, it’s wise to act fast – global warming is taking its toll, and the country’s ice caps might not be around in their current state forever. 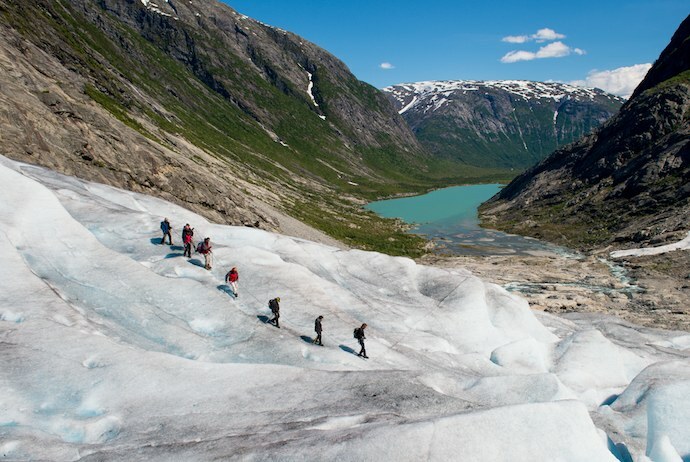 Here’s our pick of the five most stunning glaciers to visit in Norway, and how to reach them. 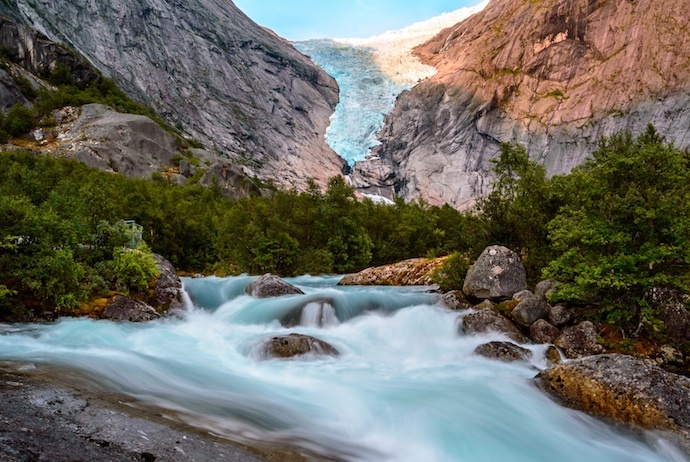 The Nigardsbreen glacier in western Norway is a perfect place to explore, whether you’re a hardened hiker or a family with kids in tow. While it may not look that huge, it’s actually an offshoot of the much bigger Jostedalsbreen ice cap, the largest glacier on continental Europe. Nigardsbreen has a range of interesting features to explore, including blue ice crevasses and high frozen towers. And, if you’re feeling adventurous, you can view these formations up close on a glacier hike. But make sure you always go with a local guide when venturing onto the ice. 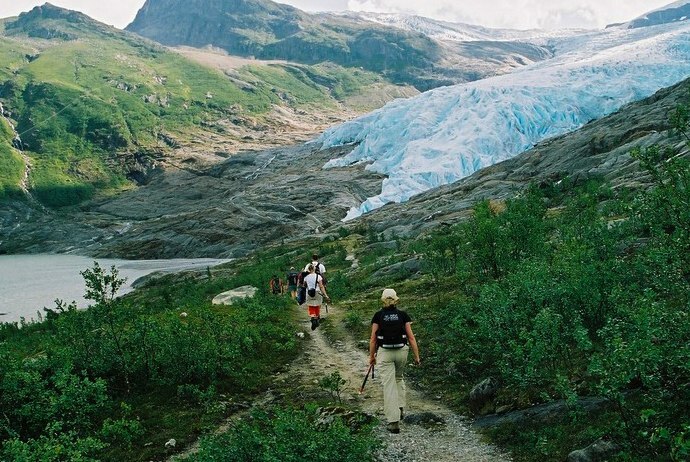 The easiest way to visit Nigardsbreen is to start at the coastal city of Bergen. 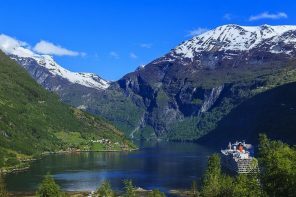 From here, an express boat will take you up the coast to the fjordside town of Sogndal. 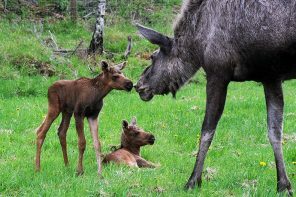 Buses run from Sogndal to the Breheimsenteret Glacier Centre from the end of June until the end of August. You can either walk the rest of the way from Breheimsenteret to the glacier itself (45 min), or take a boat up the Jostedøla river. Located in the far north of Norway, Svartisen is the country’s second-largest glacier. 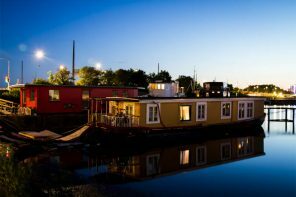 It sits between steep mountain slopes, by the side of a crystal-clear lake. 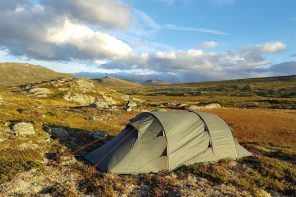 The glacier is set within the Svartisen-Saltfjellet National Park, an untouched wilderness inside the Arctic Circle, where the sun doesn’t set at all during the summer months. One of the best ways to take in the majestic views of this massive ice cap is from the nearby Brestua restaurant. 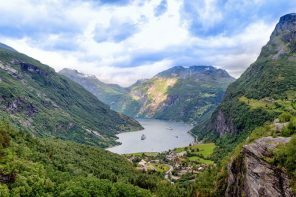 Here you can tuck into warming Norwegian dishes, as well as visiting a small museum dedicated to Svartisen and some of its more famous visitors (including Fridtjof Nansen and Kaiser Wilhelm). Most trips to Svartisen begin in the town of Bodø, in Nordland. 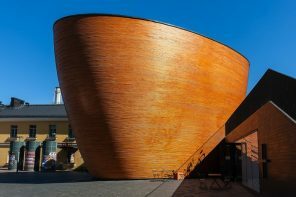 This interesting coastal town can be reached by plane from either Oslo or Trondheim. 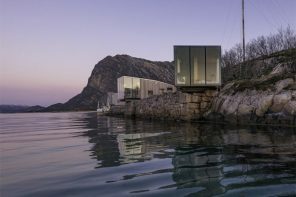 From Bodø, a 2hr 30min drive along the scenic Fv17 road takes you to Holandsvika, where a regular boat service runs across the Holand Fjord (summer months only). From here, you can either head 1km up to the nearby Brestua restaurant, or continue along the gravel path for 3km until you get to the glacier itself. Briksdalsbreen is another arm of the mighty Jostedalsbreen glacier, and is found within Jostedalsbreen National Park. 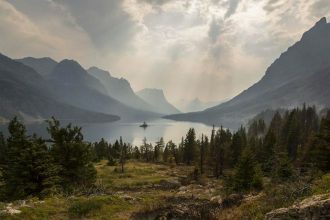 The national park is characterised by high mountains, peaceful fjords and a range of unbelievably picturesque hiking trails. Briksdalsbreen itself sits at the end of the Oldedalen valley, where it cascades down the mountainside like a gigantic frozen waterfall. You can choose to walk the 3km route from the Briksdalsbre Mountain Lodge to the glacier, or take a ride on one of the ‘Troll cars’ that shuttle visitors back and forth during the summer months. The best way to access Briksdalsbreen is from the nearby town of Stryn. You can reach the town by driving along the E39 from either Bergen or Ålesund. Alternatively, express buses run to Stryn from several Norwegian cities including Ålesund (3 hr), Bergen (6hr 30min) or Trondheim (7hr 30min). From Stryn, a special ‘glacier bus’ runs straight to the Oldedalen valley. Folgefonna glacier, situated in the Hardanger region of western Norway, has been a popular tourist destination for nearly 200 years. 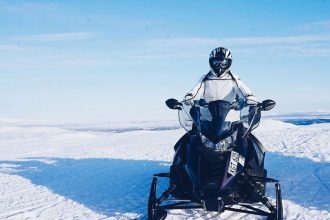 While Norwegian visitors used to cross this impressive ice cap on horse-drawn sledges, the practice has since given way to more modern pursuits. Today, Folgefonna is home to one of Europe’s foremost summer ski resorts – its high altitude means that you can count on snow here pretty much all year round. 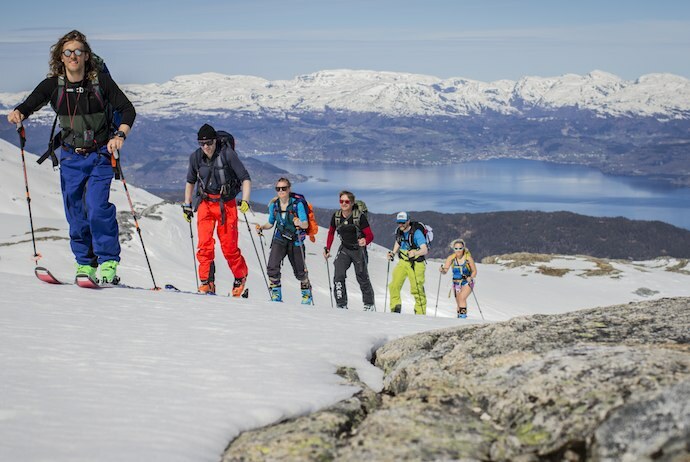 The glacier is also an unforgettable place to explore on foot, with brilliant views out over Hardanger Fjord and the distant peaks of the Rosendal Alps. If you’re driving, take the E16 and then the Fv7 from Bergen to Norheimsund. Continue on the Fv49 to Tørvikbygd, where you can catch a 20-minute ferry to Jondal. From Jondal, take the Fv105 to the Krossdalen toll road (100 NOK, pay by card), which will lead you to the Fonna Glacier ski resort. Alternatively, bus #930 runs from Bergen to Jondal, where a further (summer season only) bus service will take you up to the ski resort. Lastly, if you want to experience glaciers at their most wild and majestic, it’s best to head to the Arctic islands of Svalbard. This far northern archipelago is home to whales, polar bears, and some of the largest ice caps in Europe. One of the easiest glaciers to visit here is Larsbreen, just outside the town of Longyearbyen. A guided tour of this glacier and its frozen caves will give you a chance to marvel at hanging icicles, otherworldly dark blue ice, and sparkling snow crystals. 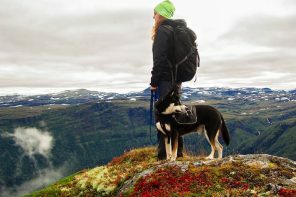 You can even combine your trip to Larsbreen with a dog-sledding ride under the starry sky – the ultimate Arctic adventure. Svalbard is visited by many cruise lines, but the quickest and cheapest way to get here is by plane. 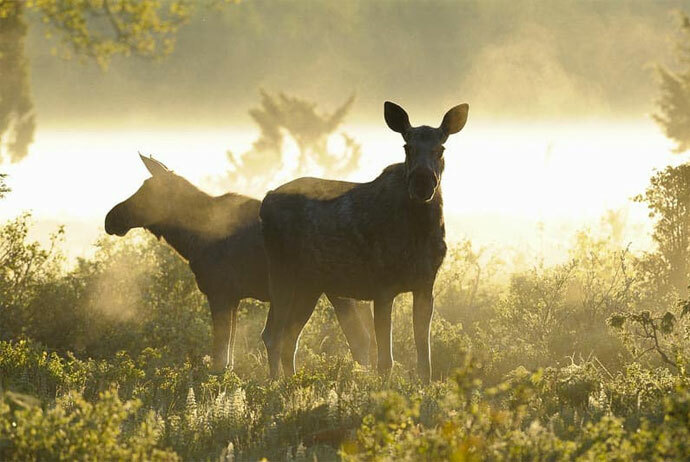 First, you’ll need to catch a flight from Oslo to the northern city of Tromsø. 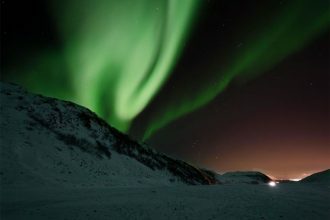 From here, a further flight will take you to Longyearbyen in Svalbard. 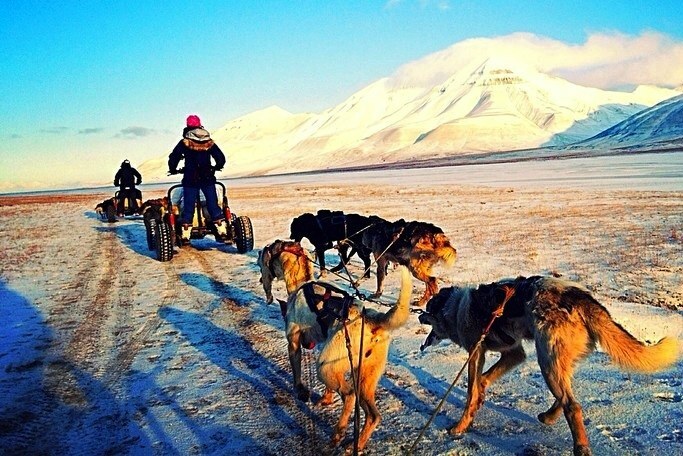 Once you’ve reach Longyearbyen, most tour companies will offer transport to the Larsbreen glacier itself.